This Christmas dinner we are serving a Beef Wellington, gift-wrapped in a glossy, golden puff pastry. 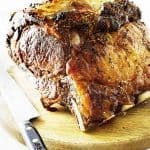 Inside this package is a juicy, tender roast beef covered in a mushroom-herb mixture and baked to a medium-rare. 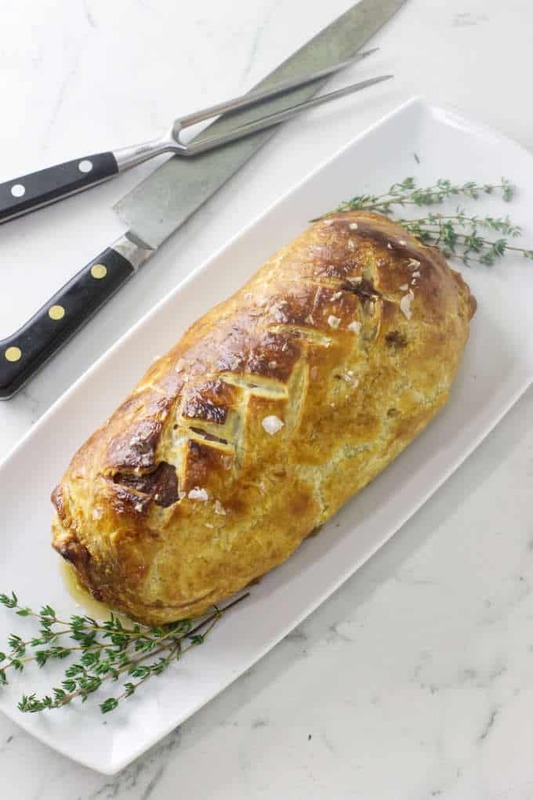 Serve this classic Beef Wellington for those extra-special dinner celebrations! It is an elegant entrée that will be a show-stopper on your dinner table. A beef tenderloin is the traditional cut of beef used for a Beef Wellington. This choice cut of beef is not called the tenderloin without good reason! 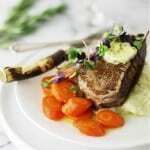 It is one of the most tender cuts of beef on the steer. 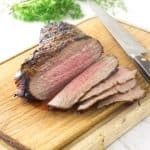 Is A Beef Tenderloin Budget-Friendly? I am not going to lie to you, the tenderloin is expensive! It is also one of the blandest cuts and one would question why the cost is so dear. Ah,…but it is the unbelievably, cut-with-the-fork tenderness that is the issue! The tenderloin is almost fat-less and fat equals flavor. For a romantic dinner-for-two we would like to suggest our recipe for Mini-Beef Wellingtons with Cabernet Sauce. 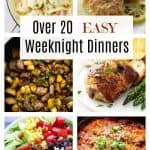 This recipe uses the same tenderloin cut of beef and since it is prepared with much less beef, it is considerably lighter on the wallet. This low-fat cut of beef tastes best cooked at a high heat for a short period of time to a rare or medium-rare. You don’t want to overcook this baby and render out any of the precious little fat-flavor that it does have. To compensate for the low-fat flavor we add flavor enhancers. 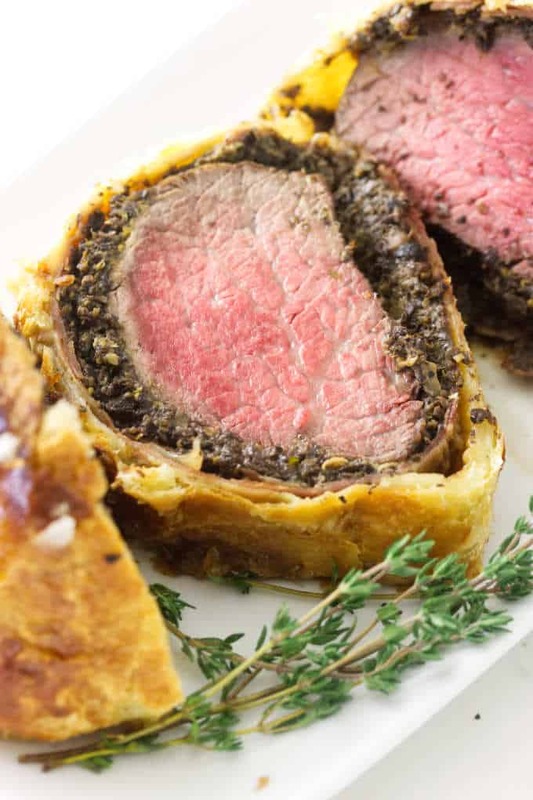 In our Beef Wellington we use Dijon mustard and a mushroom-herb mixture called a duxelles. How Many Will This Beef Wellington Serve? I guess that depends on how thick you slice the Beef Wellington. This expensive, three pound Beef Wellington will serve eight to ten hungry persons when cut one-inch thick. If hors d’oeuvres are served before dinner and appetites dimmed, you could cut the slices a little thinner for a few more servings. First we tied butcher’s string around the roast in several places to help keep a nice cylindrical shape to the beef. Then we seasoned and seared the beef in a hot skillet to seal it and give it a nice crust. It was then transferred from the skillet, the string removed and the beef allowed to cool to room temperature. While the beef cooled we prepared the duxelles. A duxelles is a mixture of chopped mushrooms, shallots, herbs, butter and wine. When reduced in volume the mixture become thick and paste-like. We used everyday crimini mushrooms, nothing fancy here. But you could use any mushrooms or a mixture of mushrooms. They will all add a nice flavor to the beef. The same goes for the fresh herbs, choose your favorite herb or mixture of herbs. We used a lot of fresh thyme. Next, we placed a large sheet of plastic wrap on the cutting board. Overlapping slices of prosciutto was place on the plastic in a rectangle that was large enough to cover the beef. We spread the cooled mushroom-herb mixture over the prosciutto. We coated the cooled tenderloin with Dijon mustard and placed it at the bottom edge of the covered prosciutto. Using the plastic wrap, we began rolling the prosciutto around the beef nice and tight. Just like making sushi rolls! We twisted each end of the plastic wrap and placed the log-like package into the fridge. After the beef roll had cooled, we removed the plastic and wrapped the beef in a lightly rolled sheet of puff pastry. We sealed the seam with an egg-wash, closed, trimmed and sealed each end and brushed the surface with egg-wash. The egg-wash gives the deep, rich golden-colored crust to the finished Beef Wellington. A short 15-minute rest in the fridge firms up the puff pastry. The best way to achieve your favorite doneness is to use a meat thermometer. 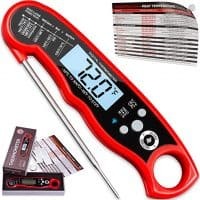 There is a wide variety of meat thermometers on the mark from laser-infrared thermometers to cable probe and just as many various prices. We love our instant-read thermometer. It is fast and gives accurate, reliable readings. When ready to cook we placed the Beef Wellington on a parchment-lined baking sheet. Brushed it again with the egg-wash and cut decorative slits in the top to allow steam to escape. 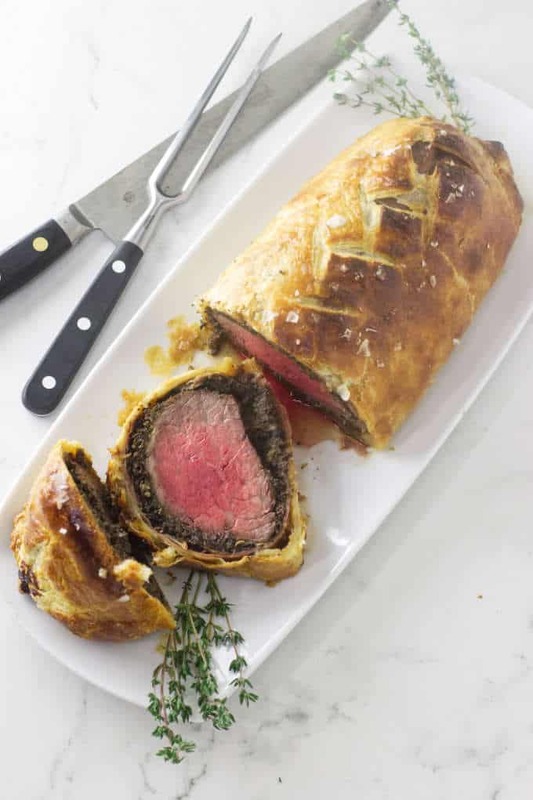 Our Beef Wellington baked in a hot 400°F oven for 45 minutes to a medium-rare of 135°F on our instant-read meat thermometer. After a ten-minute rest it was ready to slice. We served this Beef Wellington with toasty mashed potato mounds, a red wine sauce, fresh roasted asparagus and a green salad. 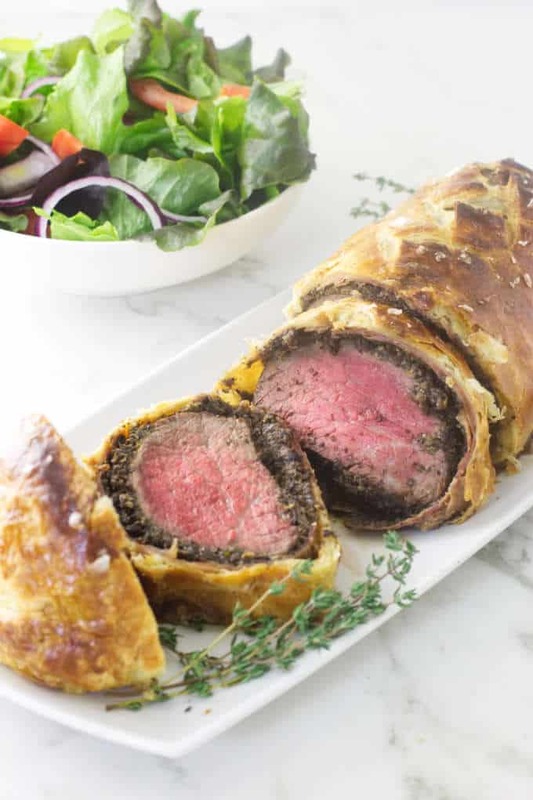 This Beef Wellington is definitely a celebration of flavors! Enjoy! Tie butcher's string around the beef tenderloin in 5 or 6 places to keep the cylindrical shape of the beef. Season the tenderloin generously with salt and pepper and set aside to come to room temperature while preparing the Duxelles. In a large heavy-bottomed skillet set over high heat, add the oil and 1 tablespoon of the butter. When the butter has melted, add the beef tenderloin. Sear the beef 3 minutes on each side and each end to a deep brown. Transfer the beef to a plate and remove the string. Melt the remaining 2 tablespoons of butter to the skillet and add the mushrooms, shallots and garlic. 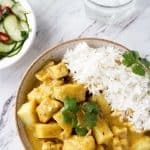 Cook over medium-high heat, stirring often for 5 minutes. Add the wine, reduce the heat to low and simmer, stirring occasionally, until all the liquid has evaporated and is thick and paste-like, about 20 minutes. Remove the mushroom mixture from the heat and stir in the thyme. Add salt and pepper to taste. Transfer the mushroom mixture to a dish and refrigerate to cool. Place a large sheet or overlapping sheets of plastic wrap on your work surface that is about twice as long and wide as the tenderloin. Add strips of the prosciutto onto the plastic wrap overlapping them, shingle-style, slightly, to create a square. Spread the cooled mushroom mixture evenly on the prosciutto keeping 2-inch border all around. Brush the tenderloin on all sides with the Dijon mustard and place on top of the mushroom mixture at the edge closest to you. Using the plastic wrap, pull the edge over and begin rolling the prosciutto-mushroom mixture tightly over the beef. Twist the ends of the plastic wrap and place the package in the refrigerator for 15 minutes. Dust flour on the work surface and lay down a sheet of puff pastry, lightly roll the pastry, both length and width, that will cover the tenderloin. Remove the plastic from the beef tenderloin and place on the puff pastry, at the edge closest to you. 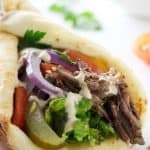 Brush the far edge with the egg-wash.
Gently roll the pastry over the beef until it completely encloses the beef roll, seaming it at the bottom as it meets the egg-wash. Fold each end of the puff pastry trimming excess with a knife and tucking underneath. Brush the pastry covered beef with egg-wash and transfer to the refrigerator for 15-minutes to firm up the pastry. Place the Beef Wellington on a parchment-lined baking sheet and brush with egg-wash once more. 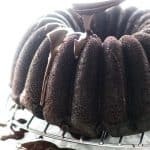 With a sharp knife, lightly cut decorative slits on the surface of the pastry. Sprinkle with Maldon salt flakes or coarse salt. Transfer to the preheated oven and bake for 45 minutes or until the pastry is a dark golden color and the internal temperature is 135°F for medium-rare. Cover with aluminum foil if the pastry begins to darken. Let rest for 10-minutes before serving. Transfer to a serving platter and garnish with fresh thyme or herbs of choice. Slice 3/4-inch thick. The secret to getting a deep, dark crust is to not move the beef for 3 minutes before turning to sear another side. To cool the mushroom mixture quickly, spread it out on a plate and place in the freezer for about 5 minutes. The reason for adding the prosciutto is to create a barrier between the beef and the pastry crust. This will prevent moisture making the bottom crust soggy. The prosciutto should only slightly overlap each other so there is no gaps between them. Overlapped too thick a layer of prosciutto will make slicing the roast more difficult. Use the plastic to roll the prosciutto-mushroom mixture sushi-style into a tight roll. Trim each end like you would when gift wrapping, seal with egg-wash and tucking underneath. Cut decorative slits to allow for steam to escape. If the pastry browns to your preference before it has reached the temperature, cover with aluminum foil. 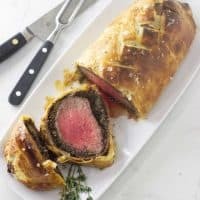 To make this Beef Wellington in advance: Once the beef is rolled into a plastic- wrapped log it can be refrigerated overnight or frozen until ready to thaw, wrap in puff-pasty and bake. This is gorgeous!! I’ve never tried making beef wellington before.